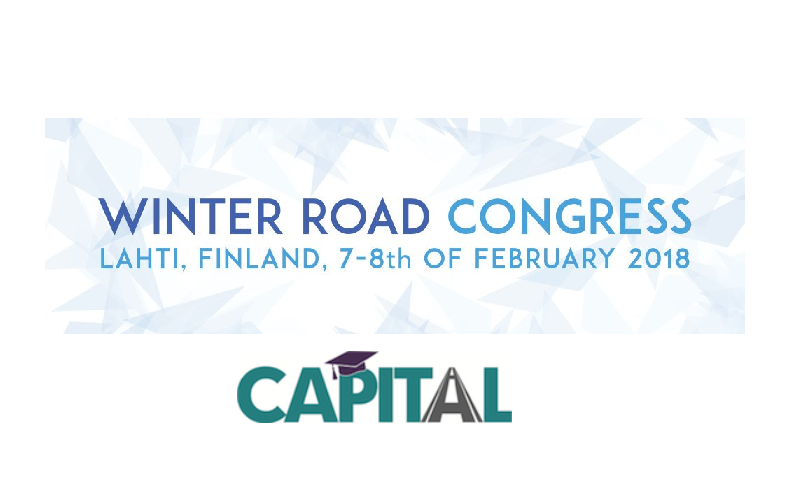 The CAPITAL project is organising a pilot training event in relation to the Winter Road Congress on 6 February 2018. Registration is open now. The event is free of charge and targets stakeholders from the Nordic and Baltic transport sector. The training will first give an overview of financial incentives, business models and procurement models for the deployment of ITS and C-ITS. Then some best real world practices, e.g. on how business ecosystem can be utilized for ITS and C-ITS deployment, will be presented and discussed. CAPITAL is a coordination and support action funded by the European Union. The project aims to design and deliver a collaborative capacity-building programme comprising of training and further education for the public and private sector in the field of (Cooperative) ITS deployment. CAPITAL is financed by the European Commission DG MOVE and coordinated by ERTICO – ITS Europe.